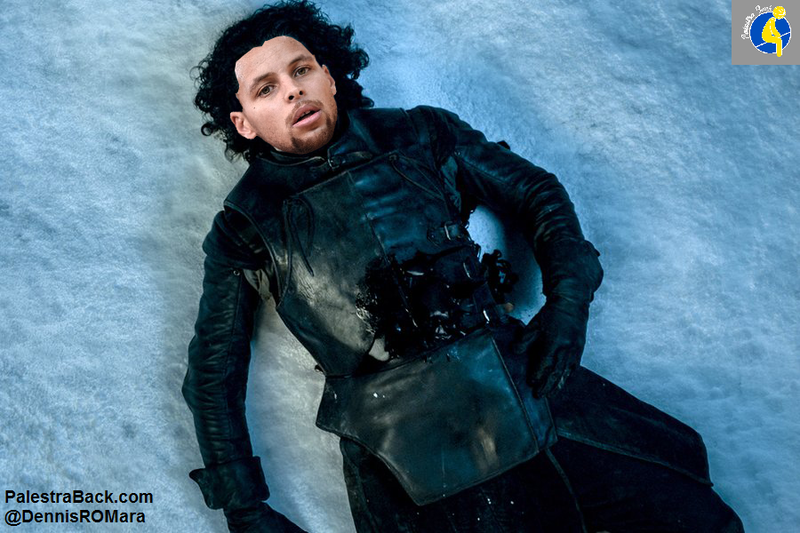 Over the last several weeks, fans of HBO’s Game of Thrones and lovers of the NBA playoffs and Golden State Warriors have experienced similar journeys. The heroes they’ve come to know and love have gone away. 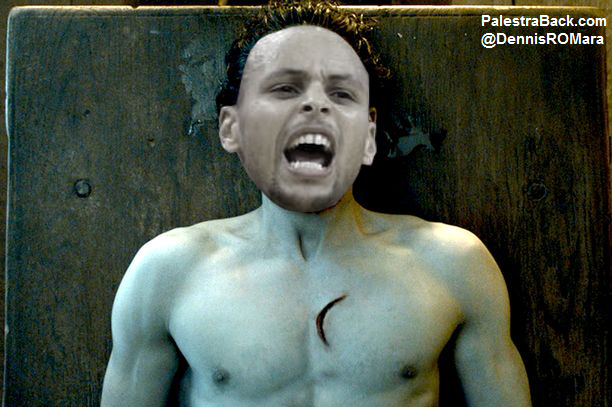 Sure, Steph Curry’s MCL injury is a far cry from the (spoilers!) stab wounds Jon Snow suffered at the hands of his brothers at the Wall, but ever since both faded away from the action, rumors of their returns dominated the landscape. We all knew they’d each find their way back to our TV screens, alive and well, though its the how and why that’s kept us tuned in. If you’ve fallen behind on the playoffs while scouring the internet for Game of Thrones theories or the non-stop basketball has left you no time for some Sunday night fantasy drama, we here at Palestra Back have you covered. With the help of my good friend, Dennis O’Mara, let’s merge the stories into one. 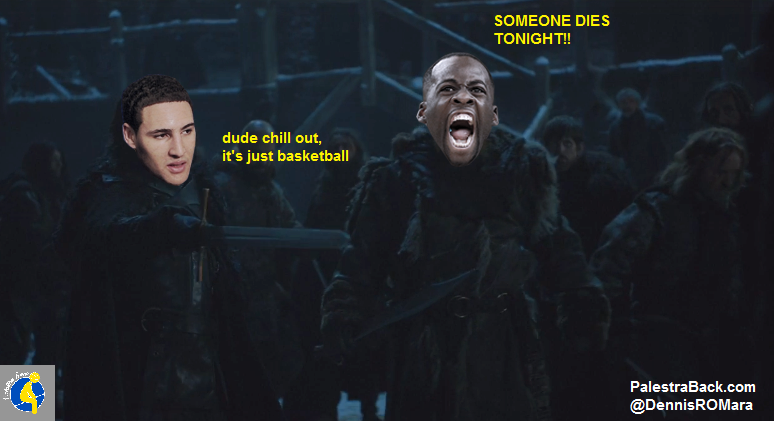 If you thought the NBA and Game of Thrones weren’t capable of telling perfectly parallel stories, well…you know nothing. And if you actually haven’t seen the first three episodes of season six of Game of Thrones, there’s plenty of spoilers ahead. Steph Curry sat alone, watching film late at night. He tossed a piece of crumpled paper over his shoulder. It landed inside an empty coffee cup inside the trash can behind him. He kissed his finger and pointed to the heavens before turning his attention back to the screen in front of him. Suddenly, James Harden burst into the room. James Harden: Steph! There’s an impromptu 3-point shooting contest going on downstairs! 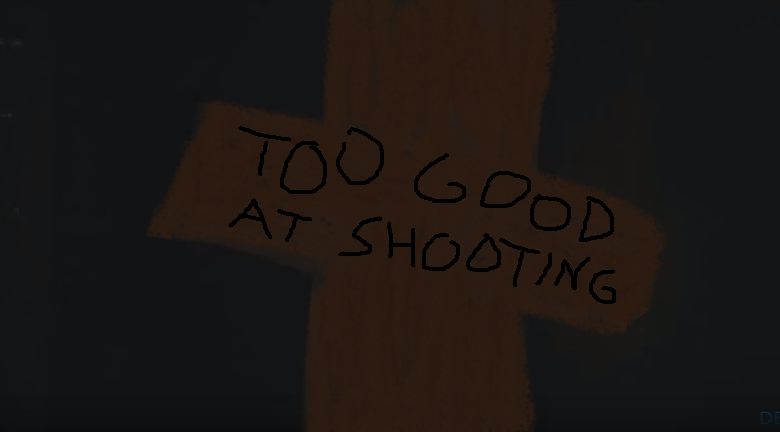 Everyone thinks they can win, even if you shoot. 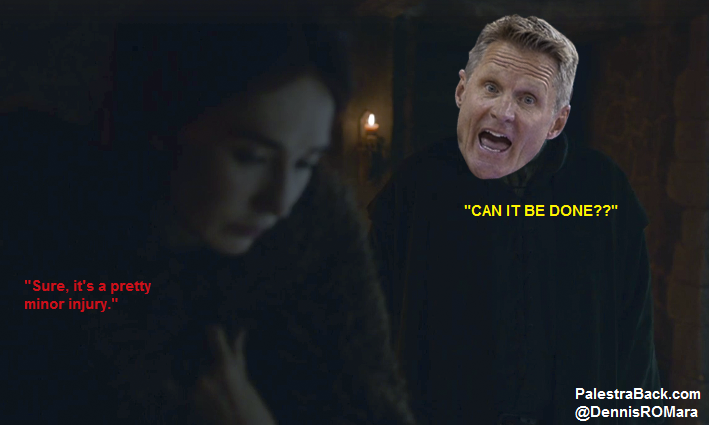 Steve Kerr. Klay Thompson. Some of my teammates. Even your dad thinks he can beat you. 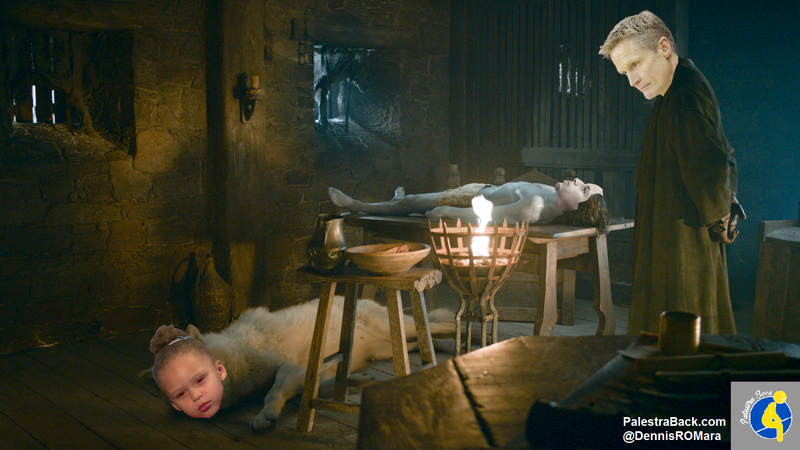 Steph Curry: I don’t have time for this, I’m busy. James Harden: Your brother is down there. He says he is a better shooter than you. 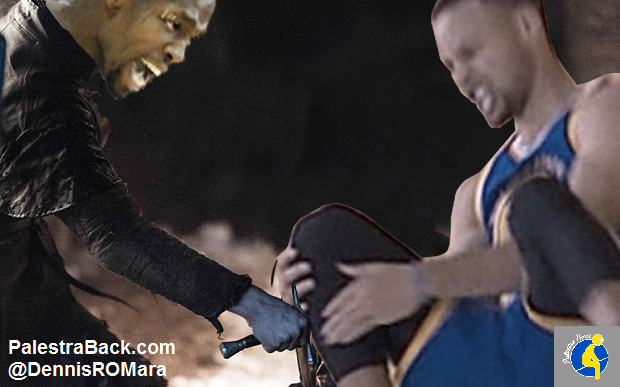 Steph turned and was greeted by James Harden, who stabbed him, right in the MCL. 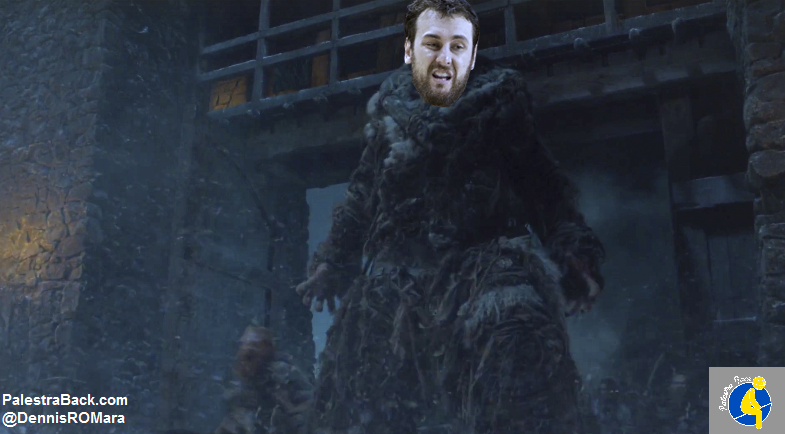 James Harden: For the league! The rest of the Rockets stepped forward, each taking a shot at Stephen’s knee. Trevor Ariza: For the league. Jason Terry: For the league. Clint Capela: Pour la ligue. Dwight Howard (smiling): For the league! Finally, Patrick Beverly stepped forward. He and Curry made eye contact for a few moments, before Beverly buried the final blow in Curry’s MCL. After a series of minutes that may as well have been months, Steve Kerr learned of Curry’s injury and hurried him off to a room alone. There, he contemplated his next move alongside his trusted most trusted associates. Out of ideas, Kerr went to the only person who could help: the team doctor, who may also have been a priestess from a far off land. It was an odd hire at the time, but now, in hindsight, it started to make sense. She was unsure if she could be of any help, yet time was running thin. Enemies, harmful ones, were approaching. Without Curry, Kerr turned to those loyal to him to save the day and protect their title chances. It got ugly, but it worked and bought them time. 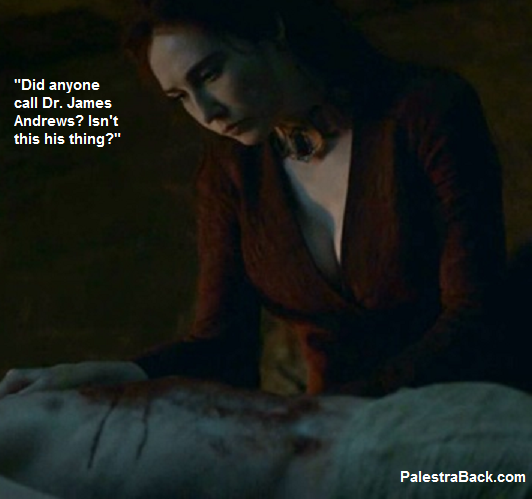 With the pressure on, Dr. Melisandre got to work. Slowly, even those closest to Steph feared he would never return. Then, there was a glimmer of hope…. Steph Curry did not take the court 4-5 hrs before tipoff, which suggests he'll appear around 6pm, as usual. Which suggests he's available. Dennis O’Mara is a friend of the blog who creates content for The Cycle, a sports and culture site. Follow them at @ByCycle for the latest internet fun. Follow him at @dennisromara for Crying Jordan Photoshops and borderline romantic Mets tweets. 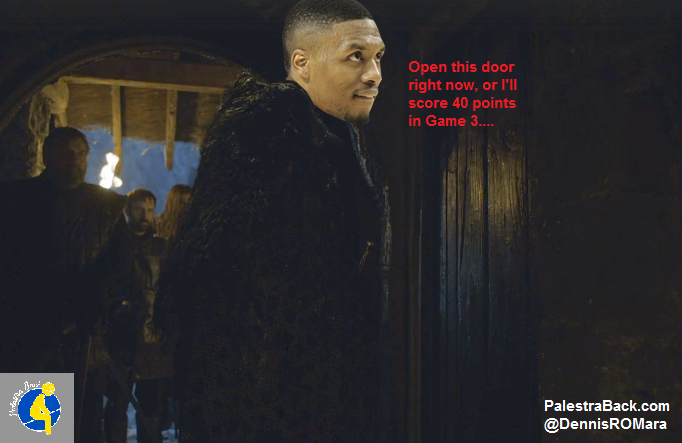 I don’t watch “Game of Thrones” but this cracked me up!! !